Implementing digital technologies such as blockchain, artificial intelligence (AI), machine learning and robotic process automation can resolve inefficiencies in our current trade finance system, and make the process efficient at the bank’s, buyer’s, seller’s, as well as the SME’s/MSME’s end, noted a recent ASSOCHAM-Deloitte joint study. 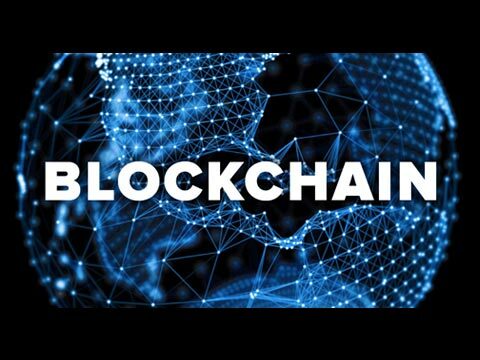 “Blockchains application for identity management and know your customer (KYC) looks quite promising,” stated the study titled, ‘Role of trade finance for inclusive growth,’ jointly conducted by The Associated Chambers of Commerce and Industry of India (ASSOCHAM) and global professional services firm Deloitte. “Banks in India should start conducting POCs (proof of concept) in this DLT (distributed ledger technology) to get a deeper understanding of its (blockchain technology) implications from the dimension of deployment in trade finance,” the study noted. However before a widespread adoption, blockchain must address certain implementation challenges – onboarding users, regulatory acceptance, changing role of banks, infrastructural issues and firms/businesses operating on small scale. It added, innovation in AI is also moving very fast. It too has enormous application to solve real problems. It could be used to detect transactions quality, or opportunity to market cross channels, to ensure banks are utilizing their resources optimally. India’s trade deficit hit a 35 month high, at USD 14 billion as exports declined, for the first time in 14 months by 1.12 per cent in October 2017, to USD 23.1 billion. “Exporters faced a liquidity crunch after paying GST for four months in a row without any refund.” The report however said that fine-tuning GST data that feeds IT (information technology) platforms will have a significant impact on trade finance. The ASSOCHAM-Deloitte study further asserted that Government initiatives have played a big role in improving ease of doing business ranking from 130 in 2016 to current rank of 100, yet a lot of work remains to be done. “India significantly lags on key metrics such as: turn-around time and operating costs, reliance on physical documentation, requirement of liaison with multiple stakeholders on disparate systems and lack of transparency, increase the cost of compliance,” said the report. “These limitations, limit trading volumes, which in turn limit the speed and efficiency of trade finance,” it added. However, the study stated that with new models of credit and funding guarantees backing the trade, the current trade finance process can be changed significantly. It also said that innovation over the years has helped bring efficiency and wider coverage to trade finance, and as both buyers and sellers, push for greater efficiencies, the focus on innovation is likely to further increase in 2018.